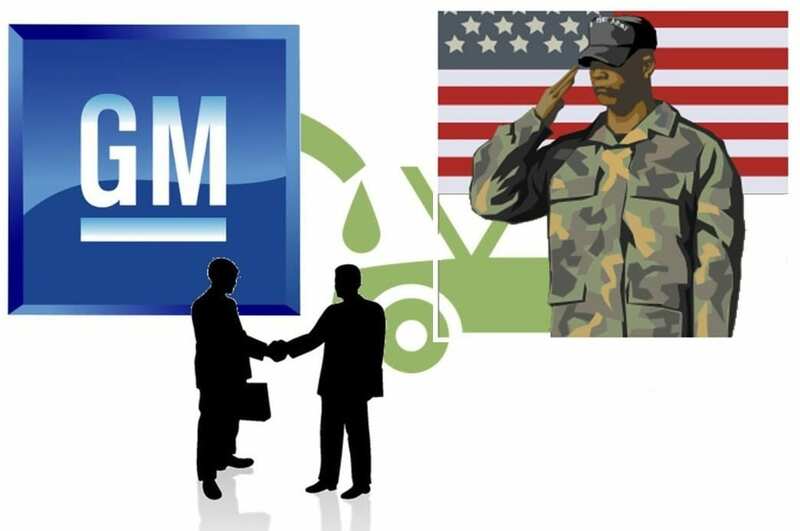 General Motors and the United States Army have confirmed that they will be working together on a fuel cell vehicle project. The partners are set to showcase a version of the Chevrolet Colorado that is equipped with a hydrogen fuel cell in October of this year. GM is working alongside the Army’s Tank Automotive Research, Development, and Engineering Center (TARDEC). Together, the two organization aims to showcase the capabilities of new fuel cell technology, hoping that this technology will make a strong entry into the transportation space. The Army has begun to show strong interest in renewable energy of all kinds. Over the past few years, the Army has begun investing in solar energy, going so far as to equip soldiers with solar backpacks that can generate much needed electricity. Due to increasing concerns over the availability of fuel, the Army, and military as a whole, has begun to support clean transportation. Hydrogen fuel cells, in particular, have acquired the majority of this support. Hydrogen fuel cells may be the future of propulsion for the Army’s clean vehicles, but much research is left to be done before this can become a reality. The new fuel cell vehicle will be demonstrated in Washington D.C. in October. At some point in 2017, the Army will be conducting user assessments with the vehicle, hoping to gather more information on its performance. The demonstration and continued research and development of hydrogen fuel cells is being supported by the Department of Defense. Some time ago, the federal agency suggested that climate change could be a threat to national security. As such, the agency has been investing more heavily in clean transportation as a way to ensure that the military is more fuel independent and to mitigate the impact of climate change. GM has already gathered considerable experience with hydrogen fuel cells. While the automaker has not launched a commercial fuel cell vehicle, it has plans to do so in the near future. Like other automakers interested in fuel cell vehicles, GM has been slow to launch these vehicles due to concerns regarding costs and the lack of a comprehensive hydrogen fuel infrastructure that is needed to support them.